This year was full of showstopping storylines. LeBron James and the Cleveland Cavaliers claiming the franchise’s first-ever NBA championship after stunning the Golden State Warriors was the marquee story of 2016 in the NBA. But Kevin Durant’s departure for the Warriors, the death of popular sideline reporter Craig Sager, the new labor deal, Kobe Bryant’s 60-point swan song, the Warriors’ 73-win regular season, the unforgettable slam dunk contest and players’ social activism also made notable headlines in 2016. But out with the old and in with the new. What’s next? Here’s a look at The Undefeated’s top 10 NBA stories to keep an eye on in 2017. Warriors-Cavaliers NBA Finals Chapter 3? 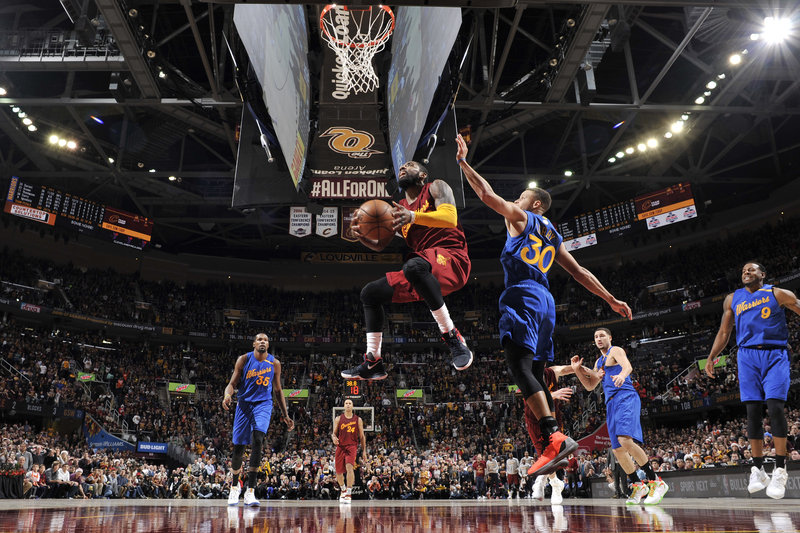 Kyrie Irving #2 of the Cleveland Cavaliers drives to the basket against the Golden State Warriors on December 25, 2016 at Quicken Loans Arena in Cleveland, Ohio. The Warriors and Cavaliers have won the last two NBA titles, respectively, in showdowns against each other. But the same two teams have never played against each other in the Finals three years in a row since the league was established in 1946. The San Antonio Spurs, Los Angeles Clippers and Toronto Raptors have the best chance of stopping history from being made, but will they? And will the 2017 NBA champs visit the White House? On Nov. 10, the Cavaliers became the last NBA team to visit the White House during President Barack Obama’s administration. Since Donald Trump’s election, several NBA teams have already stopped staying at the president-elect’s hotels. But will the 2017 NBA champs turn down a visit to the White House? 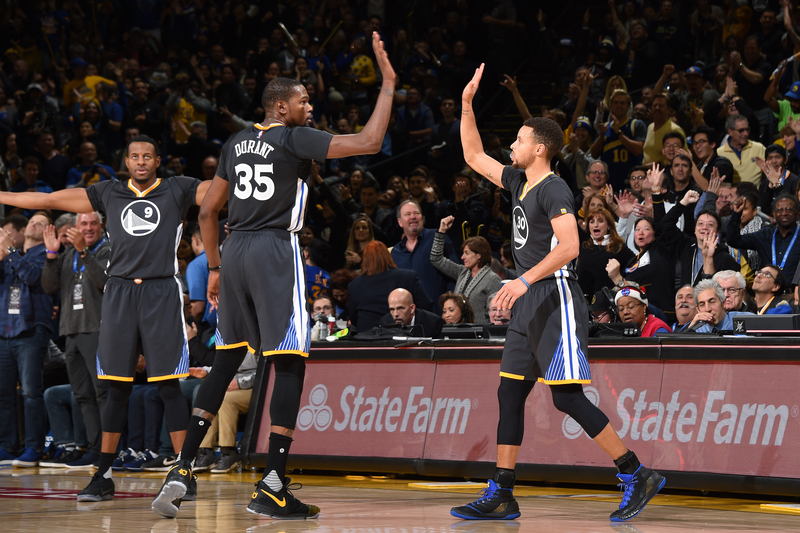 Stephen Curry #30 and Kevin Durant #35 of the Golden State Warriors high five each other during the game against the Portland Trail Blazers on December 17, 2016 in Oakland, California. Stephen Curry will become an unrestricted free agent next summer while Durant has a player option. The expectation is that the Warriors will max out both NBA superstars, but time will tell how the NBA All-Star teammates respond. Could the team’s other 2017 free agents Andre Iguodala and Shaun Livingston become financial casualties in the process? 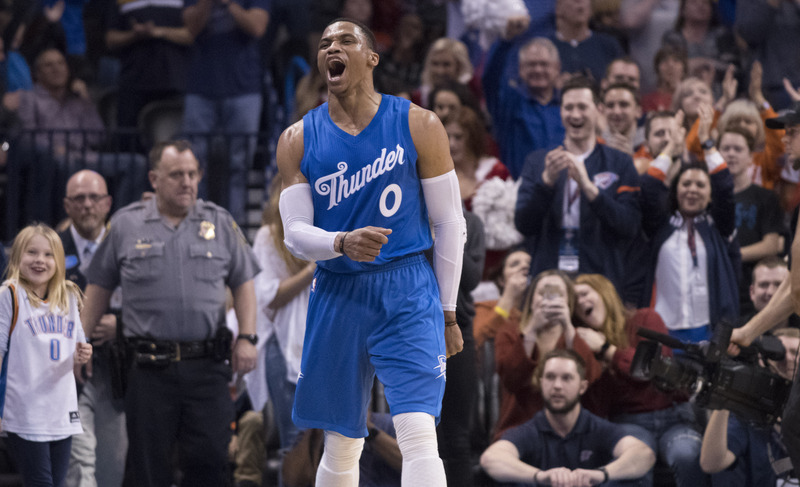 Oklahoma City Thunder guard Russell Westbrook reacts after the Thunder scored against the Minnesota Timberwolves during the second half of an NBA game at the Chesapeake Energy Arena on Dec. 25, 2016, in Oklahoma City. The Thunder defeated the Timberwolves, 112-100. Westbrook has been a triple-double machine for the Thunder this season since the departure of Durant. Playing like a modern-day Oscar Robertson, Westbrook earned his 15th triple-double in the 32nd game of the 82-game season in a win over the Miami Heat on Dec. 28. Robertson earned a record 41 triple-doubles during the 1961-62 season for the Cincinnati Royals. 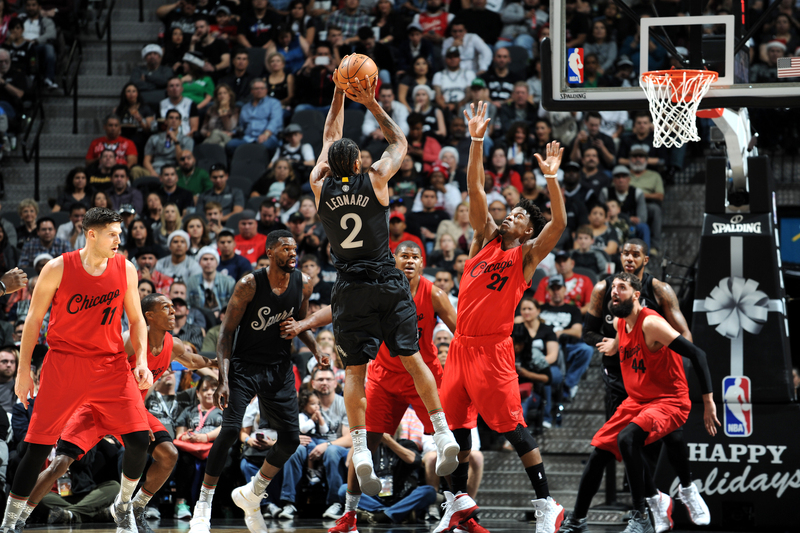 Kawhi Leonard #2 of the San Antonio Spurs shoots the ball during the game against the Chicago Bulls on December 25, 2016 at the AT&T Center in San Antonio, Texas. The NBA’s Most Valuable Player award should have its longest list of legitimate candidates in years. Westbrook, Durant, James, Houston’s James Harden, San Antonio’s Kawhi Leonard, New Orleans’ Anthony Davis and Toronto’s DeMar DeRozan have all already made a strong case for themselves this season. The NBA will announce the winner in its first-ever awards show in New York City on June 26, 2017.
the end of the Clippers as we know it? DeAndre Jordan (6) of the Los Angeles Clippers speaks to his teammates during a 111-107 loss to the Memphis Grizzlies at Staples Center on Nov. 16, 2016, in Los Angeles. 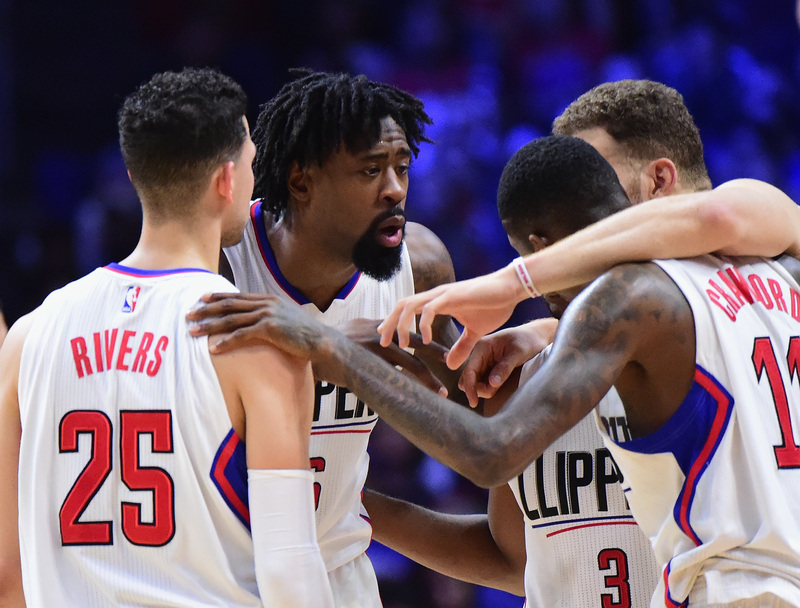 Chris Paul, Blake Griffin and DeAndre Jordan are the Clippers’ “Big Three.” But if the Clippers can’t make it to at least the 2017 Western Conference finals, will two of their superstars change course? Paul and Griffin have player options that can make them free agents in 2017. 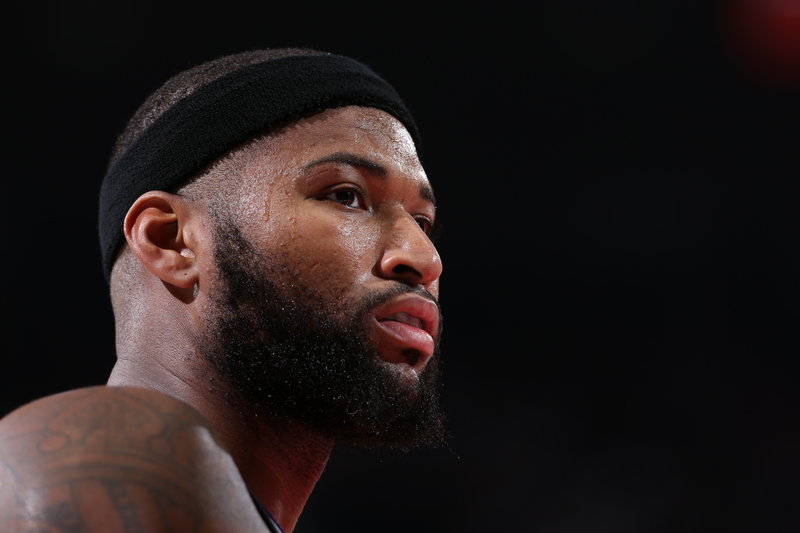 Will DeMarcus Cousins be traded? DeMarcus Cousins of the Sacramento Kings is seen during a game against the Portland Trail Blazers on Dec. 28, 2016, at the Moda Center in Portland, Oregon. The Sacramento Kings center will likely be headed to the third NBA All-Star Game of his career this season, but his tongue and temper have caused problems. The struggling Kings have to be careful because the face of their franchise could be an unrestricted free agent in 2018. It will be interesting to see if the Kings decide to move the talented Cousins to protect their future, or roll the dice as the trade deadline approaches on Feb. 23. 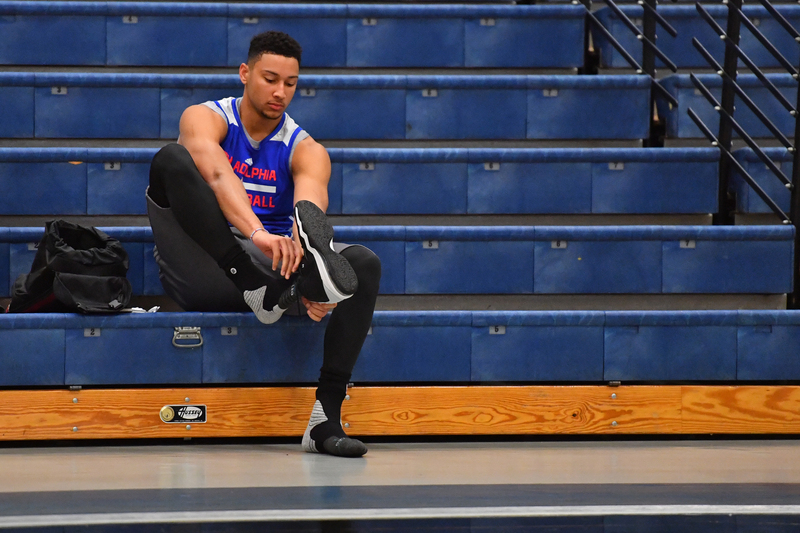 Ben Simmons of the Philadelphia 76ers puts his shoes on before practice at Stockton University on Sept. 27, 2016, in Camden, New Jersey. The No. 1 pick of the 2016 NBA draft has yet to debut after having foot surgery in October. Although there has been speculation that he could suit up in January, the Sixers recently said that there is no timetable for his debut. With Simmons sidelined, injury-plagued teammate Joel Embiid has emerged as the top NBA rookie so far this season after finally debuting in his third season. But will that be the case in 2017? 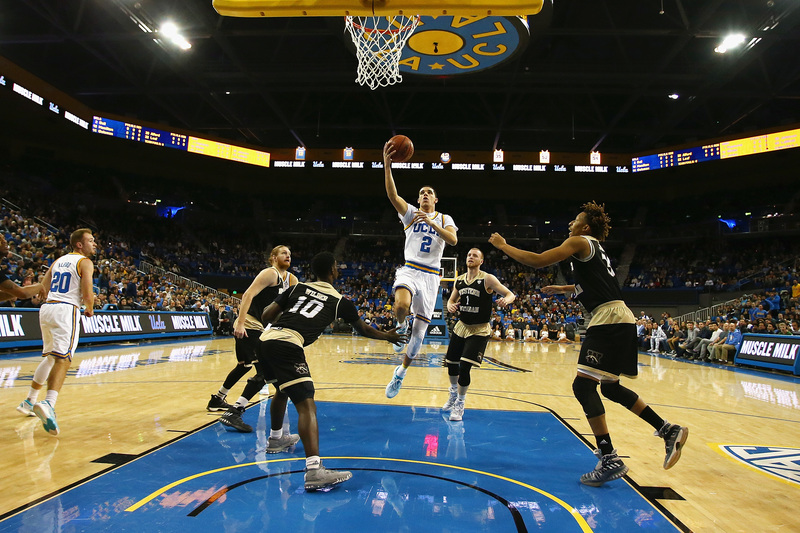 Lonzo Ball #2 of the UCLA Bruins drives to the basket during the first half against the Western Michigan Broncos at Pauley Pavilion on December 21, 2016 in Los Angeles, California. The 2017 NBA draft has the potential to be one of the best in league history due to a very long list of talented college freshman. There’s a long list of players to keep an eye on, including UCLA guard Lonzo Ball, Washington guard Markelle Fultz, Kansas guard Josh Jackson, Kentucky swingman Malik Monk, guard De’Aaron Fox and center Bam Adebayo, North Carolina State guard Dennis Smith Jr., Duke forwards Jayson Tatum and Harry Giles and center Marques Bolden, Michigan State forward Miles Bridges, Florida State forward Jonathan Isaac and Arizona forward Lauri Markkanen. Like we said, the list of talented freshman is long. 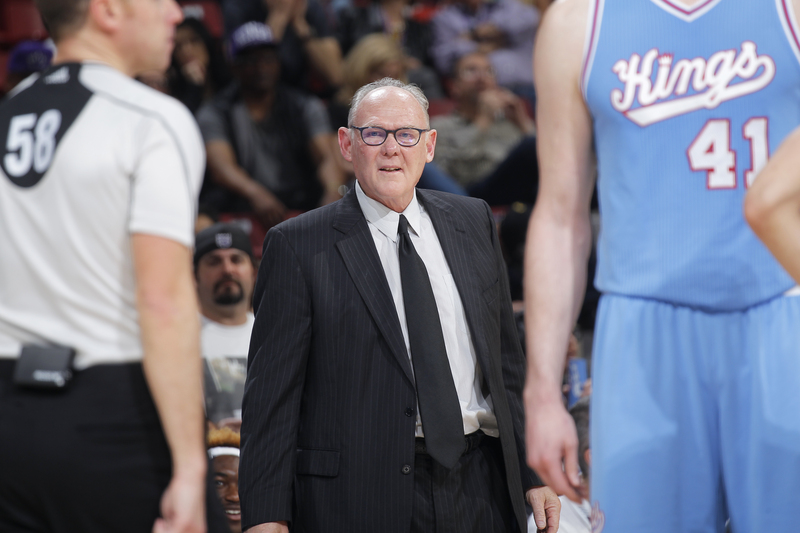 Head coach George Karl of the Sacramento Kings coaches against the Miami Heat on April 1, 2016, at Sleep Train Arena in Sacramento, California. The former NBA coach forced the league to pay attention to him once again when excerpts of his forthcoming book Furious George, which took shots at his former players Carmelo Anthony, Kenyon Martin and J.R. Smith, were recently released. Karl, who was fired by the Kings in 2016, was also critical of Portland Trail Blazers star guard Damian Lillard in a recent interview. With his 30-year span of coaching in the NBA, get ready for Karl to take numerous shots at his former players and NBA colleagues when the book drops on Jan. 10, 2017.